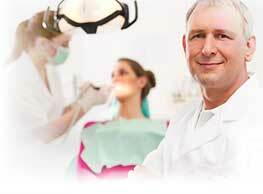 Dental implants benefits have some special advantages over their counterparts which make them more poplar these days. Dental implants are more durable and permanent. In dental implants the roots are fixed in the jaw bone which hold the crowns, dentures and long span bridges securely without causing any inconvenience or pain. Another benefit of dental implant is that it can be made of effectively for various type situations like single teeth replacement or multiple tooth replacement and it can be used in conjunction with dentures and removable bridges so as to meet the varying requirements of every person. As the implants are prepared after taking an impression of your teeth and using the state of the art, these are exactly fitting to your jaw and face and naturally it is more aesthetically appealing. As these implants do not need the support of neighbouring teeth, they need not be altered and this helps the structure of the remaining teeth to remain intact. In dentures you need to trim the adjacent tooth so as to become a support to the dentures. This guarantees a better overall dental health to your mouth. These implants are so naturally looking and properly positioned that you will not feel any discomfort while eating or speaking. This convenience coupled with the satisfaction of being able to radiate energetic through natural smile will increase the self esteem and confidence of any person. Dental implants normally last for 10 to 15 years and if you have good quality bone around the implant for about five years after the implant, you can expect the implant to last for the rest of your life.